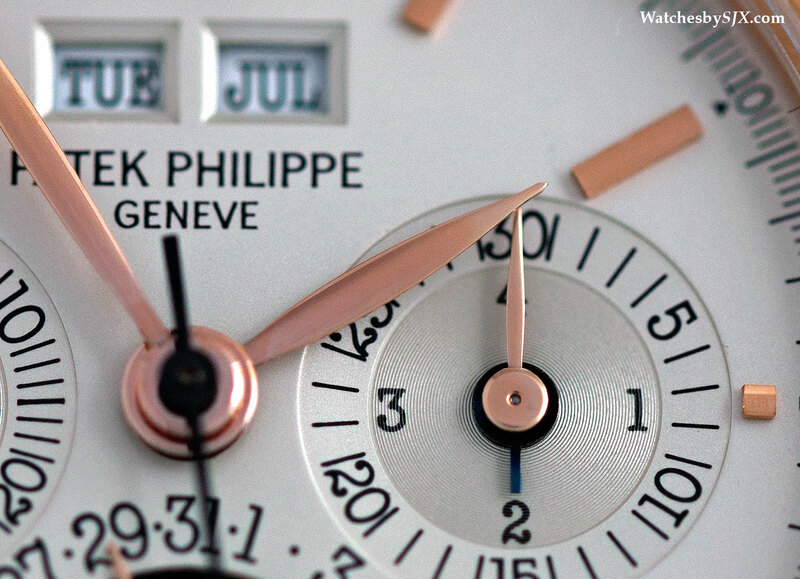 Arguably the quintessential Patek Philippe complication, the chronograph with perpetual calendar is often synonymous with the reference 3970, due to its longevity and relative affordability. 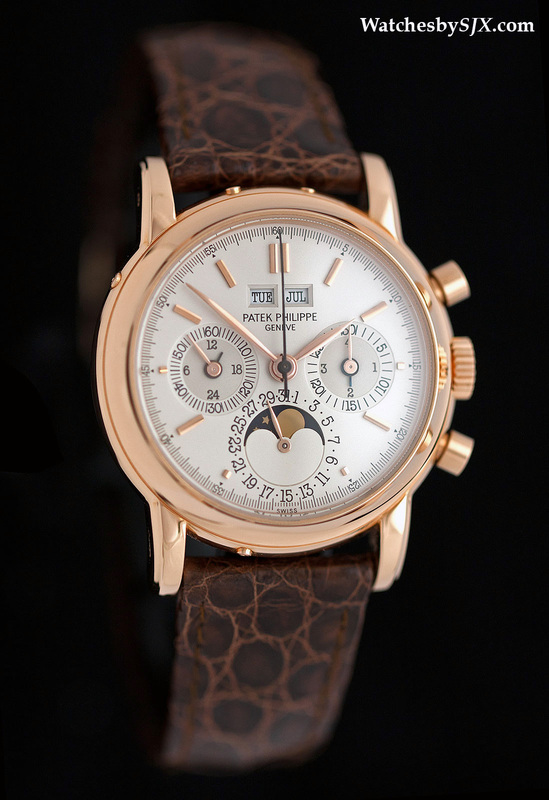 Patek Philippe invented the combination complication of chronograph and perpetual calendar with the ref. 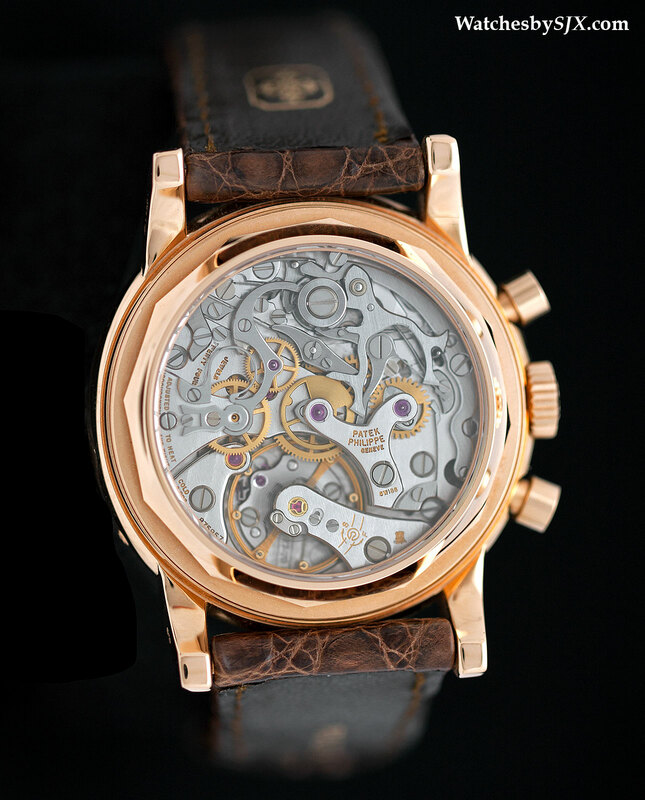 1518 in 1941, starting a lineage of very desirable timepieces. 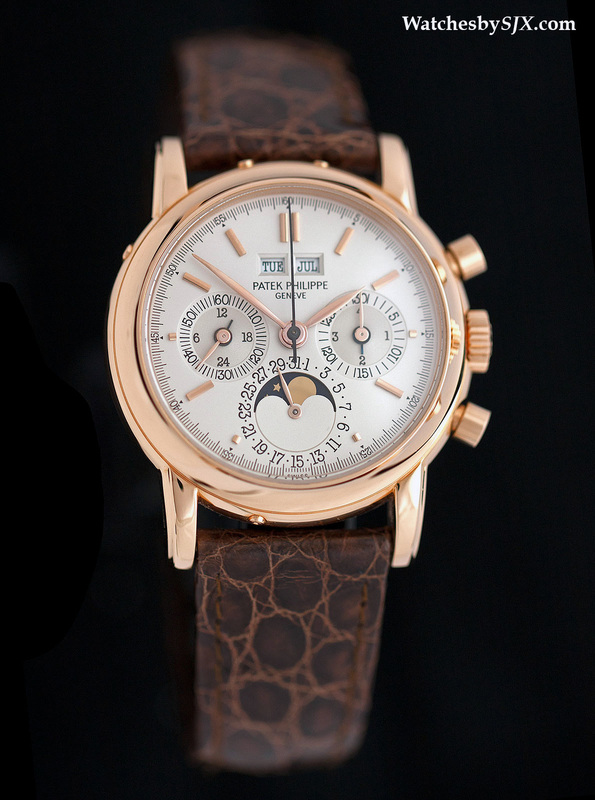 But the chronograph perpetual calendar with the greatest lifespan was the ref. 3970, produced from 1986 to 2004. Because it was in production so long, nearly 20 years, the ref. 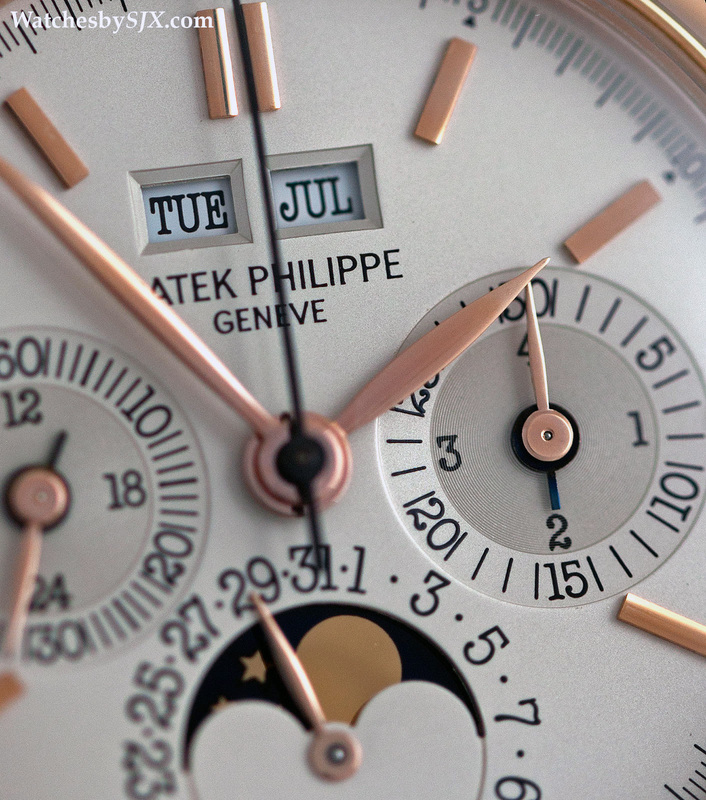 3970 is the most common of the chronograph perpetual calendars made by Patek Philippe. The upside of that is that the ref. 3970 is the most affordable, relatively speaking. 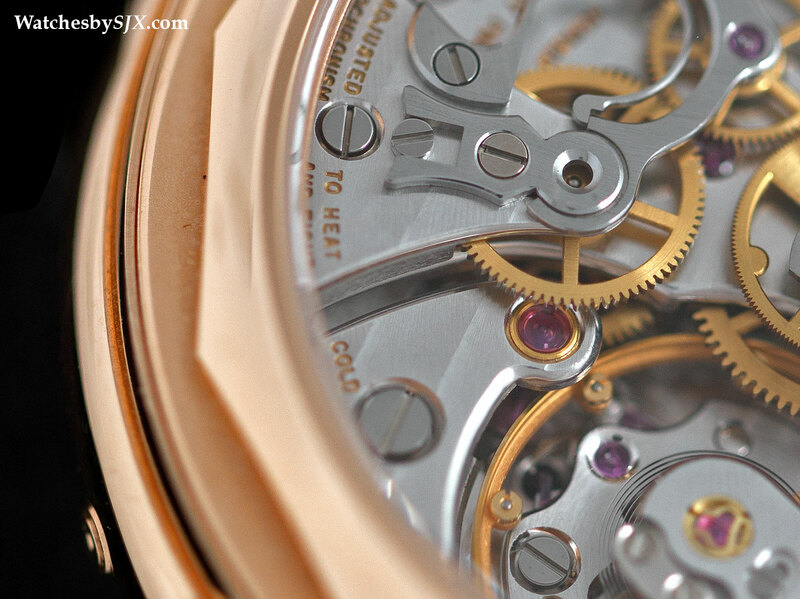 By far the most common is the third series, but the most beautiful are the first and second series 3970s. The most obvious difference being in the feuille, or leaf, hands of the first and second generation. 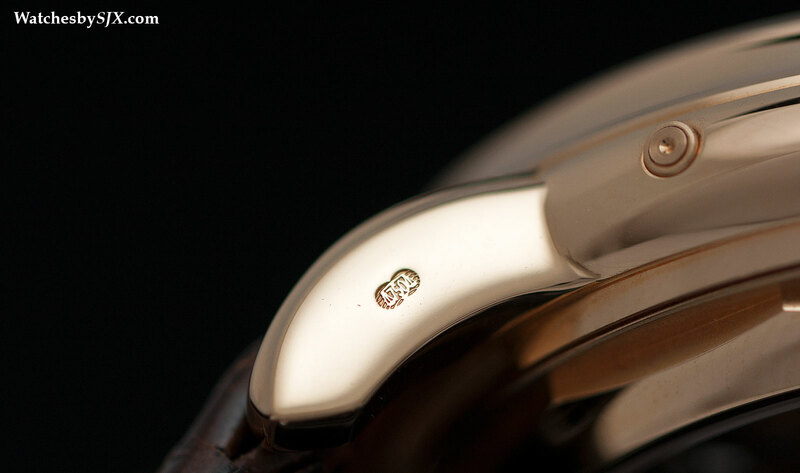 This small but significant detail gives them a look that closely approximates that of the immensely valuable ref. 2499, the immediate predecessor of the ref. 3970. Pictured here is a second series ref. 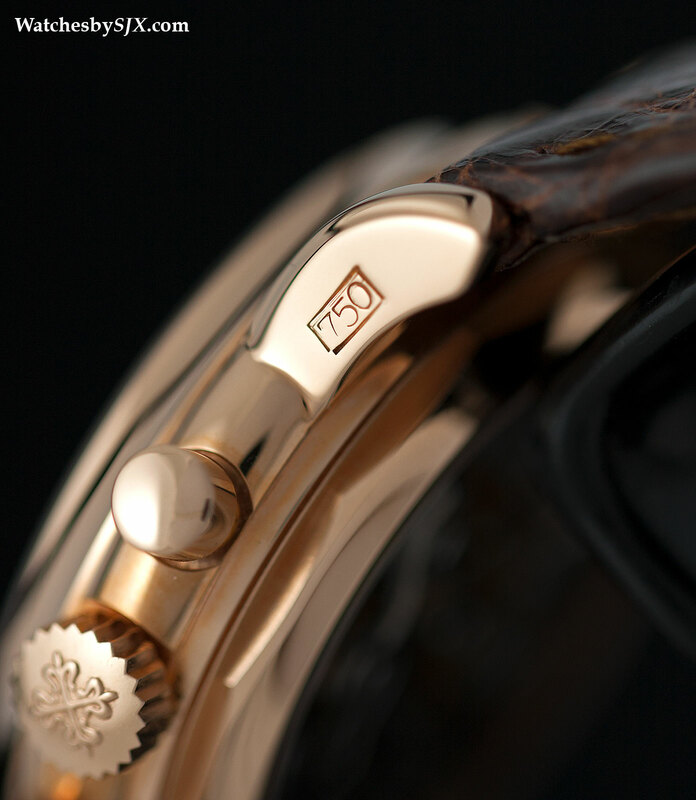 3970 in rose gold. Unusually this is a ref. 3970 with a screwed-down sapphire display back, an uncommon feature. Most of this series with sapphire backs are ref. 3971, identical save for the model reference. 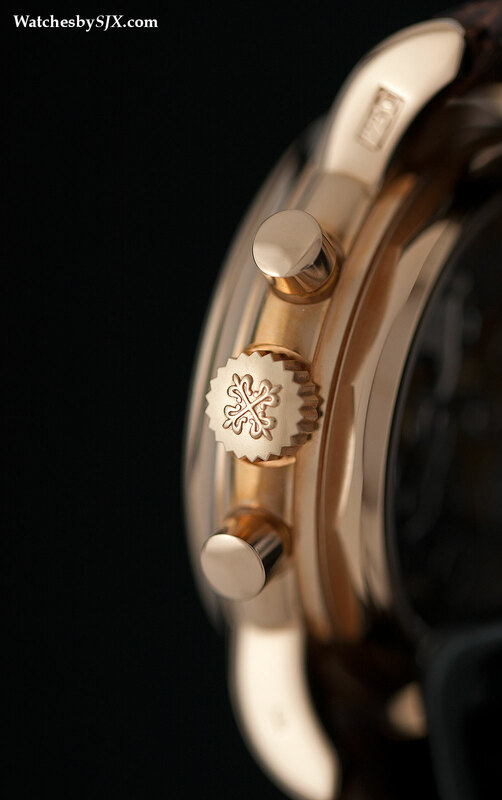 Throughout the production of the 3970 it retained the same 36 mm case, though the case back went from snap-on to screw-down. 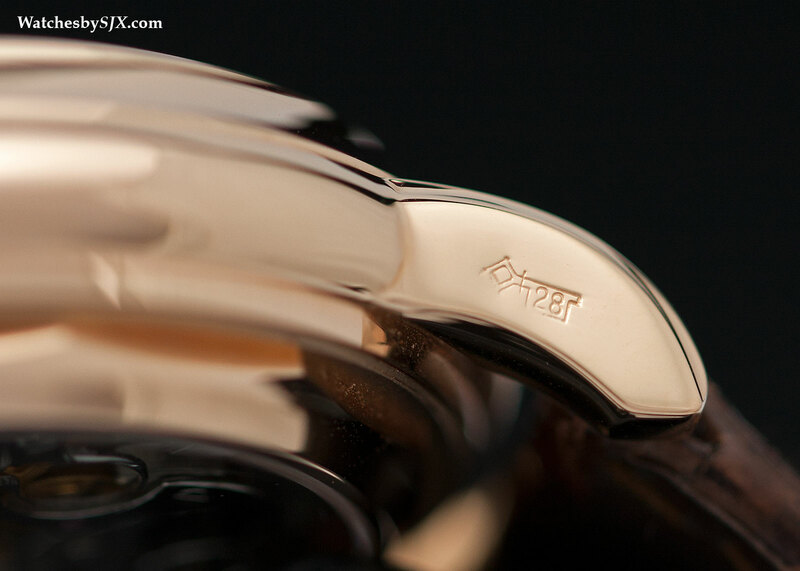 Another key difference was the presence of prominent hallmarks stamped on the flanks of the lugs (instead of on the underside as is common), a feature found on the gold second series and one prized by collectors. 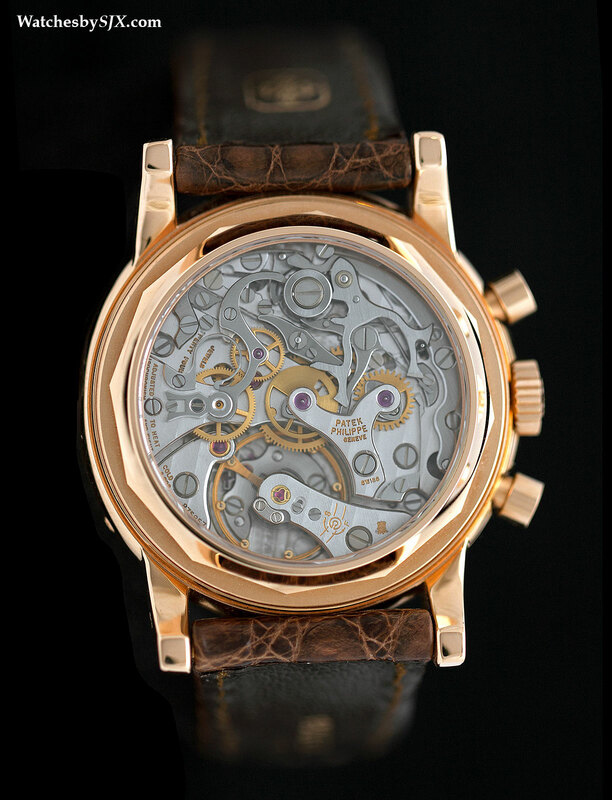 Like the rest of the 3970, this second series watch has the calibre CH27-70 inside , built on a Lemania 2310 ebauche, or movement blank. 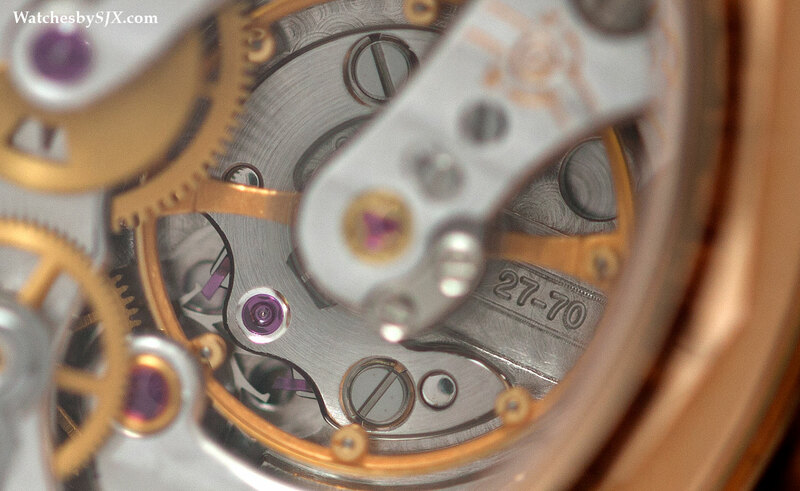 Though it is a finely finished and beautiful movement, the movements are the least studied aspect of the reference as they remained almost unchanged throughout the production of the ref. 3970. Intriguingly, the second series ref. 3970 does not sell for all that much more than the far more common third series. 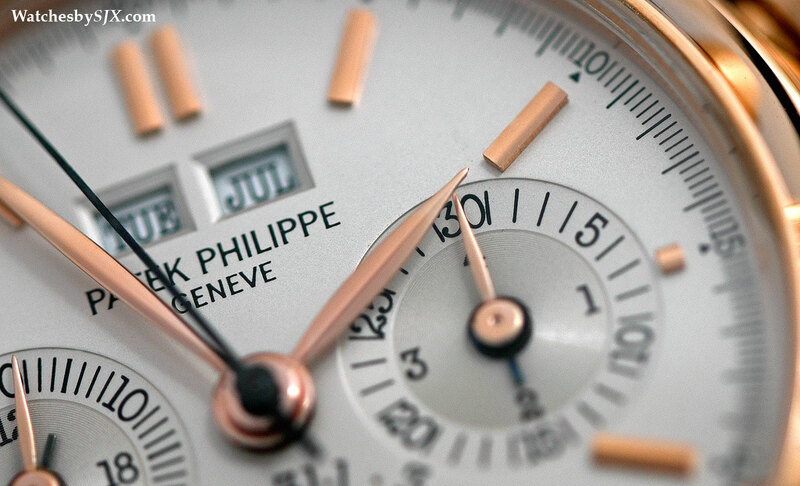 Collectors have long speculated that the price differential should rise, given the rarity and aesthetics of the second series, but that has not happened. The third series sells for between US$75,000-90,000, while the second series can be as little as 10% more, making it a very attractive proposition. 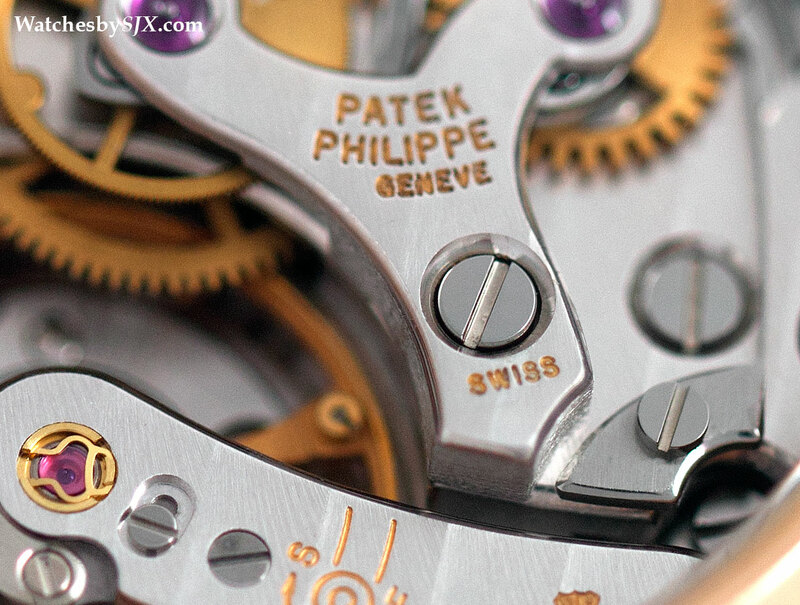 Hands-on with the Patek Philippe ref. 5075G cloisonné enamel "Horse"